IN 2007, Washington winemakers crushed 127,000 tons of grapes. When it's all said and done, they will have crushed more than a quarter-million tons this fall. 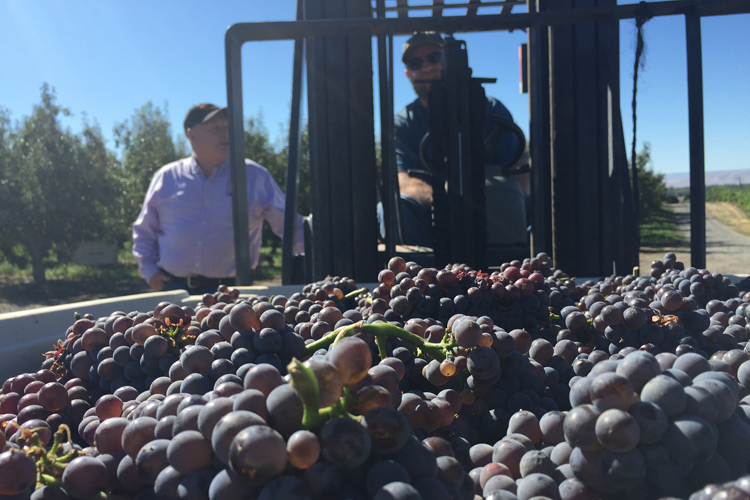 In other words, the Washington wine industry has doubled in size in just a decade. Ste. Michelle CEO Ted Baseler predicts it will double again soon; if the 9 percent annual growth continues, that could happen in about eight years. That is remarkable. And it's all driven by Ste. Michelle Wine Estates, based in Woodinville, which is pushing the industry forward with new brands and new vineyard plantings throughout the arid Columbia Valley. Most of Washington's wine growth comes from Ste. Michelle. Of the state's top 10 wineries (by case production), Baseler is in charge of eight - with the other two owned by Seattle-based Precept Wine.